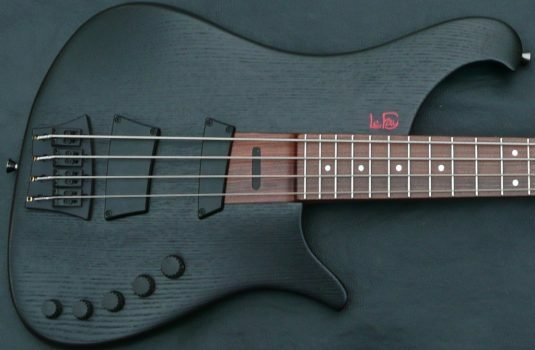 The model is called the Platinum Hybrid double cut. 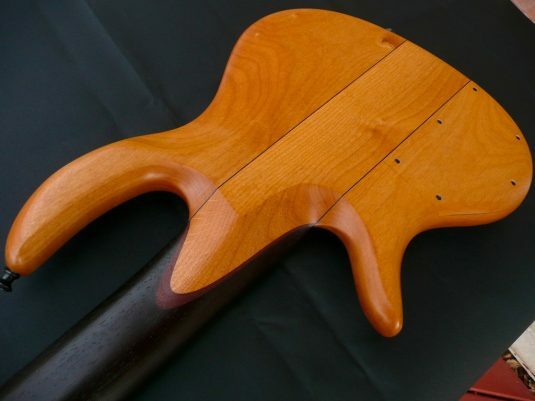 The Hybrid term refers to the set neck design, a design I usually do like a lot. Set neck, glued in neck , like a Gibson Les Paul guitar. 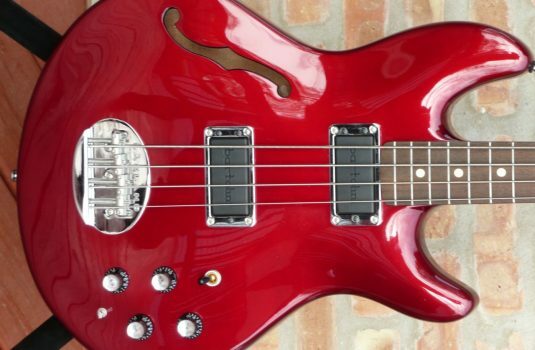 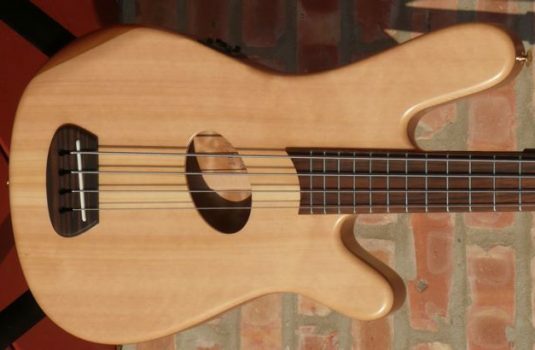 This bass has a string and inherently smooth voice. 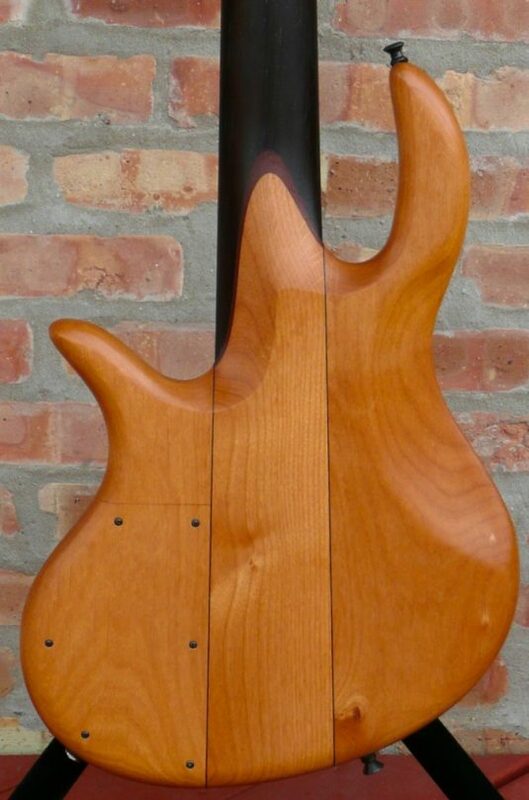 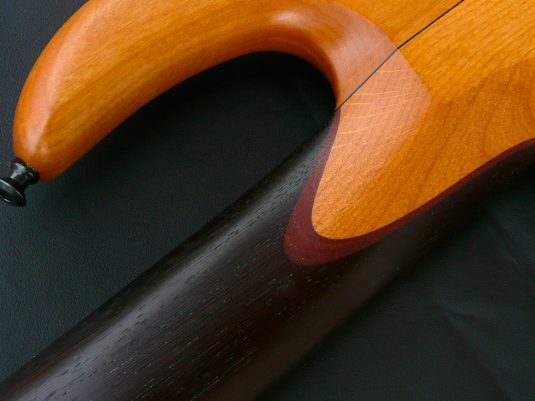 The Wenge neck and board promote strong lows and low mids. 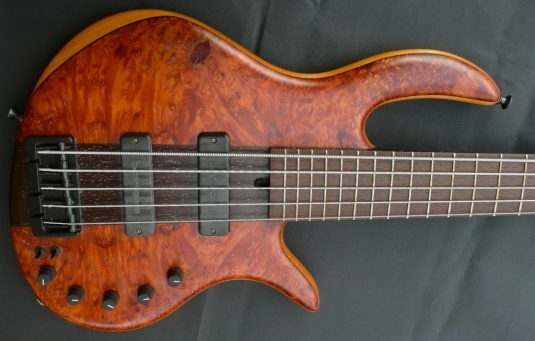 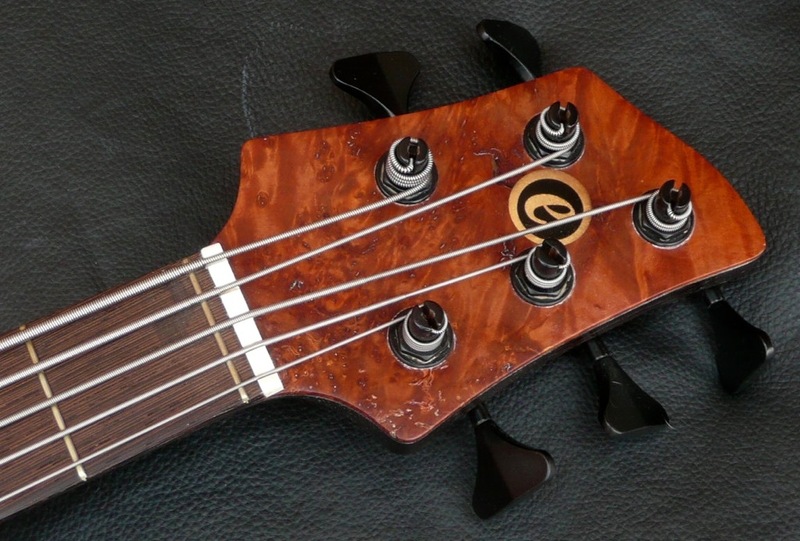 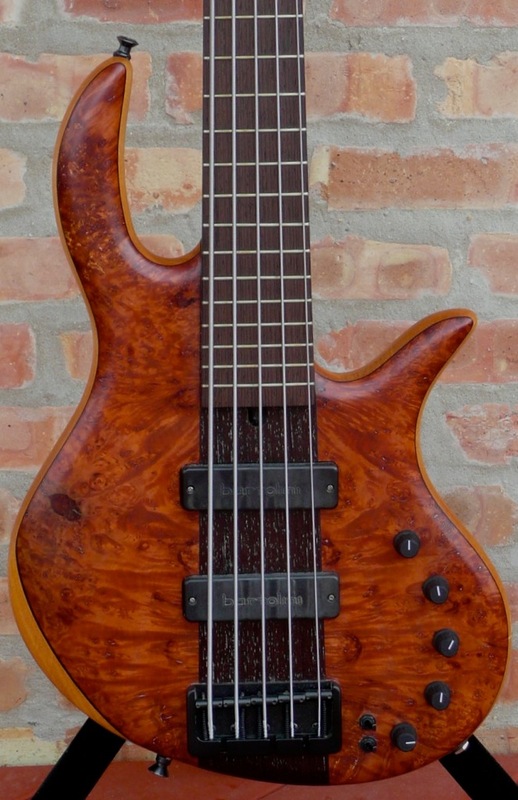 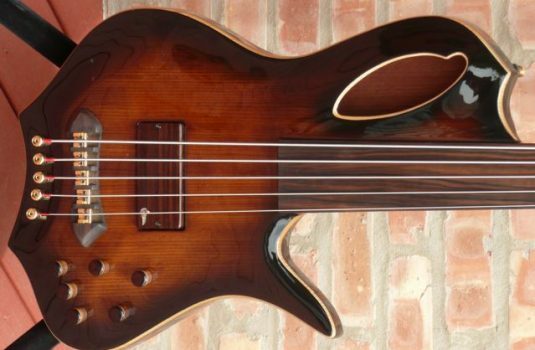 The Alder body generally smooths out the bass’ voice , which is NOT to say this cannot be played aggressively. 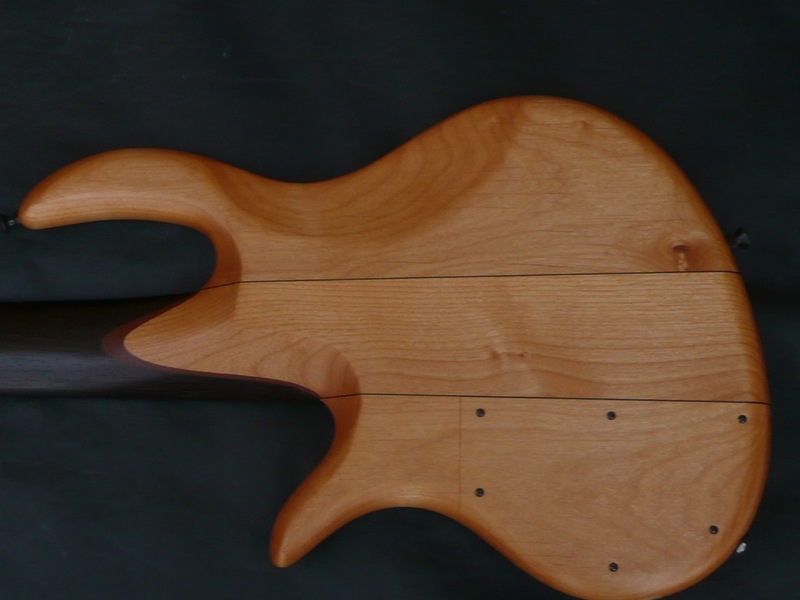 Made is the USA by a vet of the bass scene – Rob Elrick.